A year after downsizing and diversifying, a North Carolina entrepreneur is making more money. 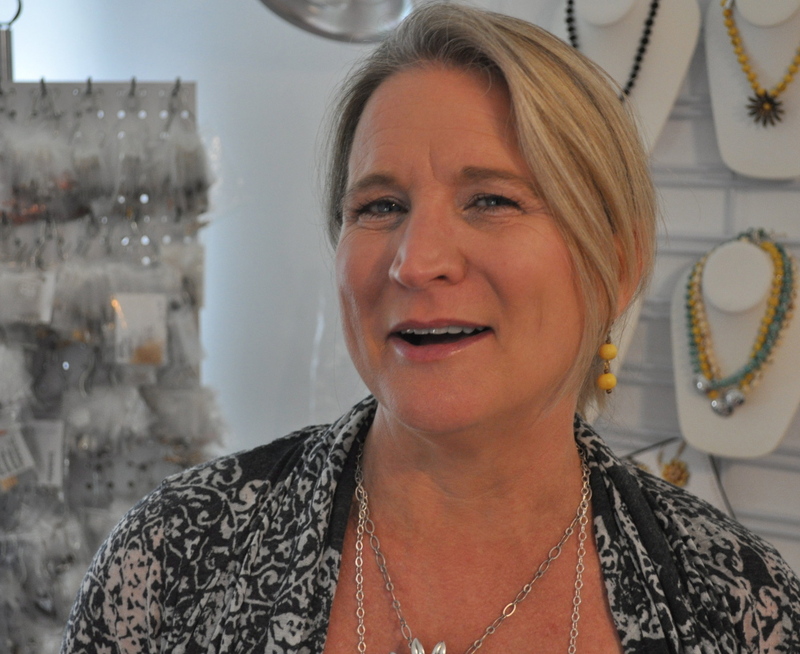 Designer Amanda Carroll’s “aha” moment came a year ago in July, when she suddenly saw her decade-plus-old business, Bead Boutique, the way a customer might. Amanda Carroll runs her online business from her home studio in Concord, N.C. “My store schedule was 24/7. Nine a.m. to 8 p.m. was my day at the store. Here, I just have a nicer routine. I include regular breaks from being hunched over something. I make time to meditate,” she says. “I’m a big advocate of continuing to learn ... through webinars, and business and professional classes,” Amanda Carroll says. Closing her storefront meant Amanda Carroll could have more time to be creative. 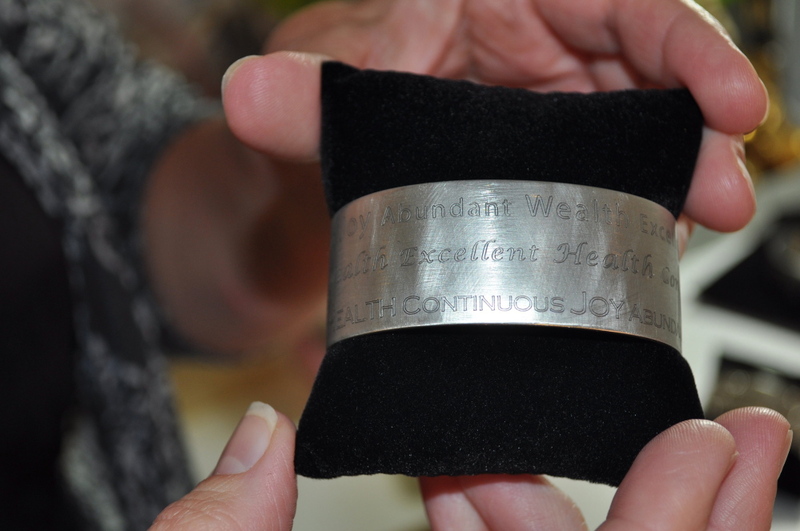 Her Sage Words Cuff Bracelet features inspirational messages. Going exclusively online would mean relying on the contacts she built since opening her storefront in 2001. And it eventually would lead Carroll to creating various other divisions with online platforms to cover all she wanted to do – from jewelry design to representing artists to filling bulk wholesale orders. But she hasn’t regretted her decision to liquidate her inventory and downsize to an 800-square-foot studio based in her Concord, North Carolina, home. She creates, fills orders and updates her websites from a brightly lit space with a mannequin, one of her beaded jewelry lines displayed on a wall and classical music playing in the background. I now have several divisions and found it necessary to create a new company to manage them. Sage Resource LLC encompasses four businesses: Sage Resource Group designs jewelry lines, and also represents other jewelry lines for wholesale sales. This division is working with Mothering Across Continents on a special jewelry line to benefit the nonprofit. The Sage Art & Craft Show is a twice yearly retail show held at the Ballantyne Hotel in Charlotte, North Carolina, that features juried artists who make pottery, handbags, clothing, woodworking and more. The next show is Dec. 6. It’s a way for up-and-comers to get out there and be seen, and it’s also affordable. Cost to vend runs $125-$150. I was a member of a lot of organizations, and used that network to join forums and discussion boards and do a lot of research on how to go online. I discovered it’s better to join an online platform with a force behind it, rather than create a site. So I created SageJewelryArts.com through Storenvy, a marketplace run through Pay- Pal. OpenSky is another marketplace I use, too. The more of these you can be on, the more exposure you get. They’re super-easy to create, and there’s no HTML to worry about. ALWAYS LEARNING: I’m a big advocate of continuing to learn as much as I can, through webinars, and business and professional classes. One of the best courses I ever took was with (Charlotte-based business strategy expert) Sherese Duncan, called “Getting to the Core of Your Business.” She asks: What’s your vision? Are you the business, or do you have a business? If something happens to you tomorrow, does your business close or continue? She continues to be a good coach.